thanks for the tips I might start off with the macro and micro elements and then possibly strary the pro biotic system further down the track and possibly the other additives. 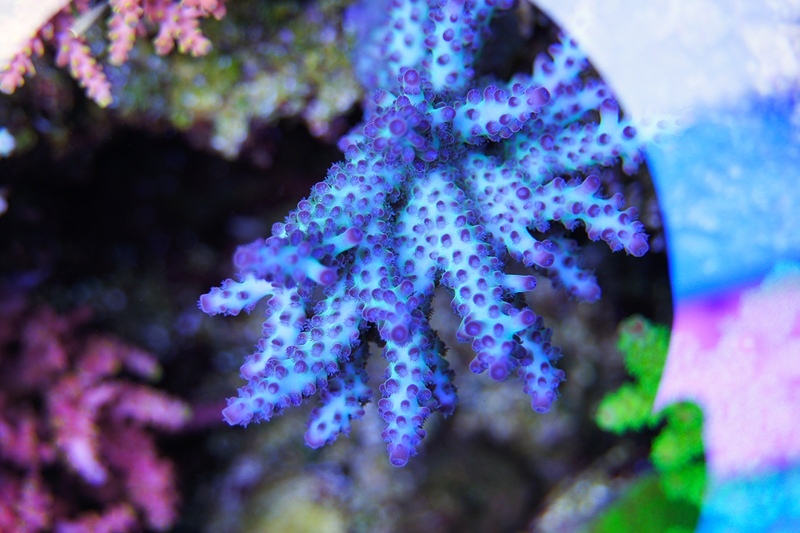 my system isnt sps heavy and I find it hard to get some of the real high end colorful sps and mine are your more basic colors so for the moment id be happy for the corals to get a good quality salt mix with all micro and macro elements along with good supplementary dosing. 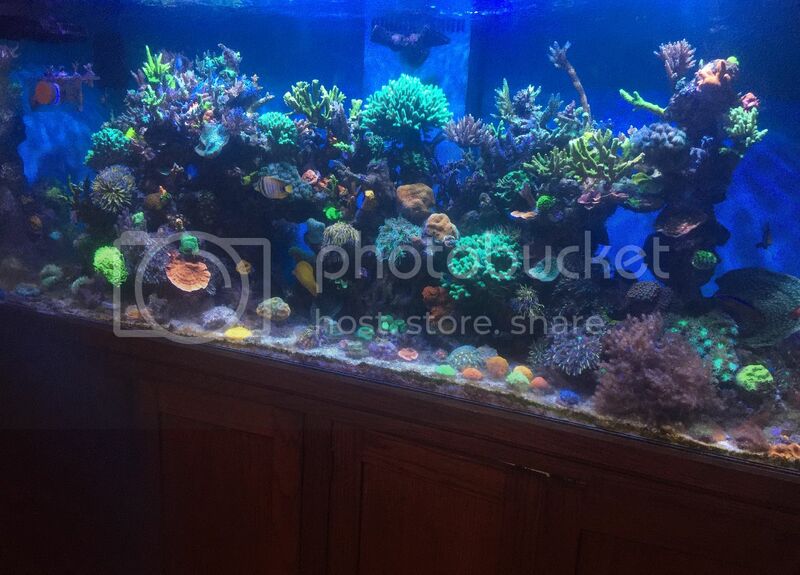 I think the more complex dosing ect would be good for when this or my possible future tank is more sps heavy. out of curiosity what exactly is the reef mineral salts that is incorporated into the macro element regime. currently I only dose alk cal and mag so what is the mineral salts and how do you dose/test for them to determine how much needs to be dosed? is it based off the cal/mag uptake? 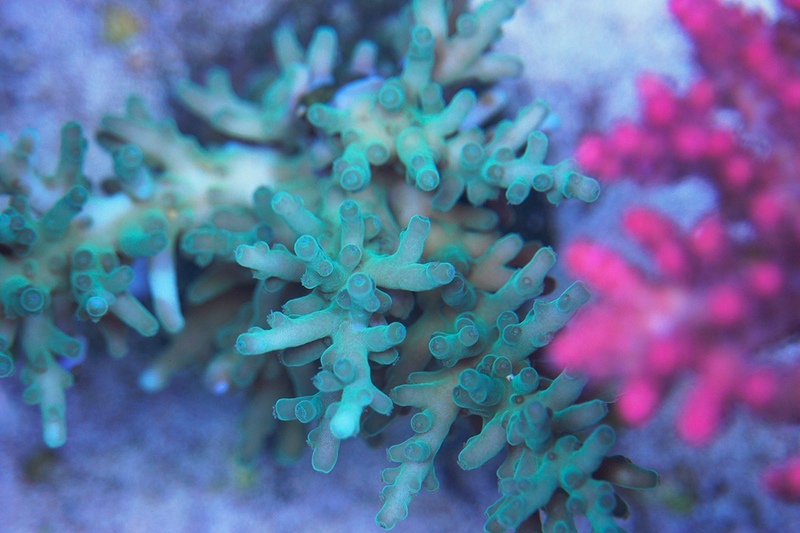 Reef Mineral Salt is merely a buffer to help maintain linear Ionic uptake. With the Component 123 or ABC system, it is to be dosed at equal levels to that of which alk, and CA are dosed. Cheers. Nice meeting you guys at Macna 2016! Being able to share my success story with Acroforest was awesome ! !and meeting Perry/Debra/owner and talking reef was soo cool . 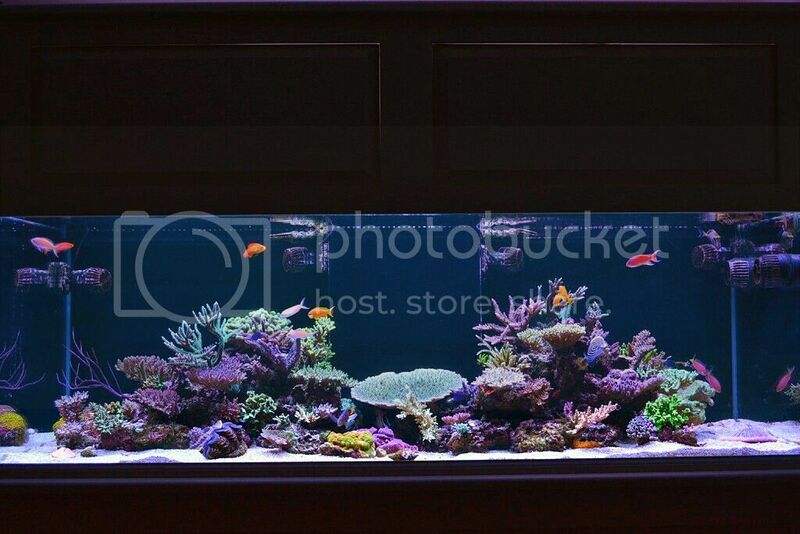 My tank based on Aquaforest for last 4 mounts tank one year old.. tank 60x24x24 , sump 48x20x20--10L siporax, probiotic salt 20% bi weekly components 1+2+3 (80ml each daily currently)(probio-s ,NP pro,)5drops daily (amino+vitality ,build+energy )4 drops alternative days .. I have been reading this and other threads on Aquaforest products. 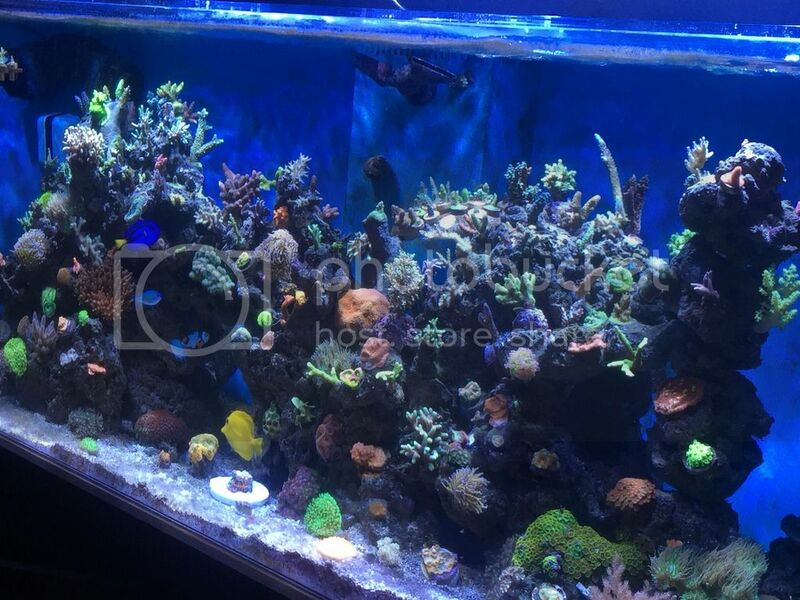 I have to say that I've been in and out of the hobby for the last 15 years and I have to admit that seeing all these tanks from around the world with so much success has been an inspiration for sure! 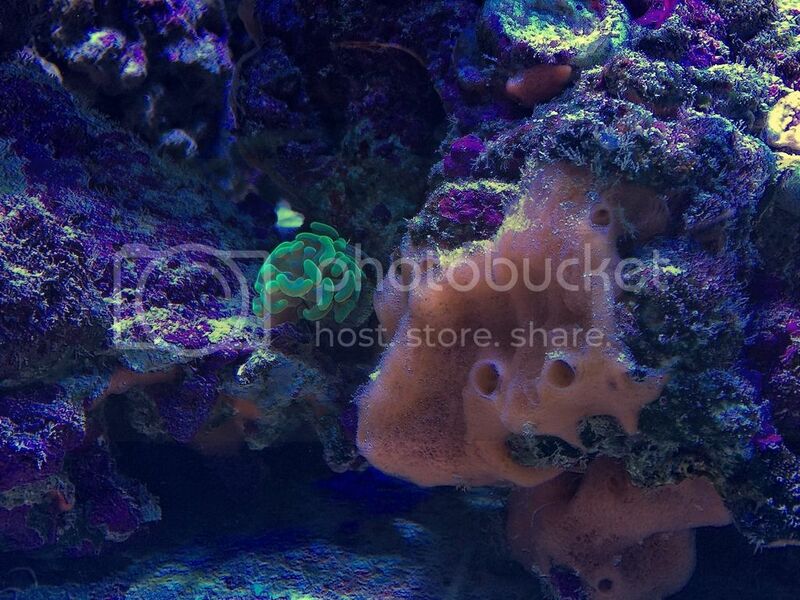 I'm in the process of or in the mode of acquiring corals to fill a very empty 180 gallon reef. I will for sure acquire the AF product line! 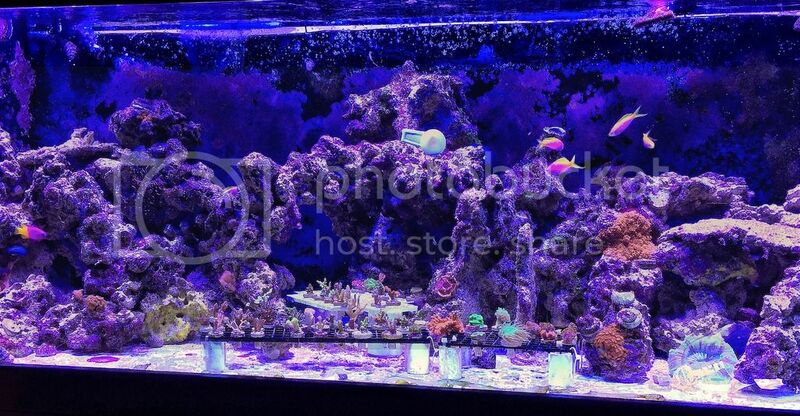 I use a combo of 3- 250 wt metal halides and blue LED's. The tank will be a mostly sps heavy tank. With this type of lighting should the recommended products be different than what is in your guide? Many thanks and cheers to ya! For a 180 tank with a 55 gallon sump. 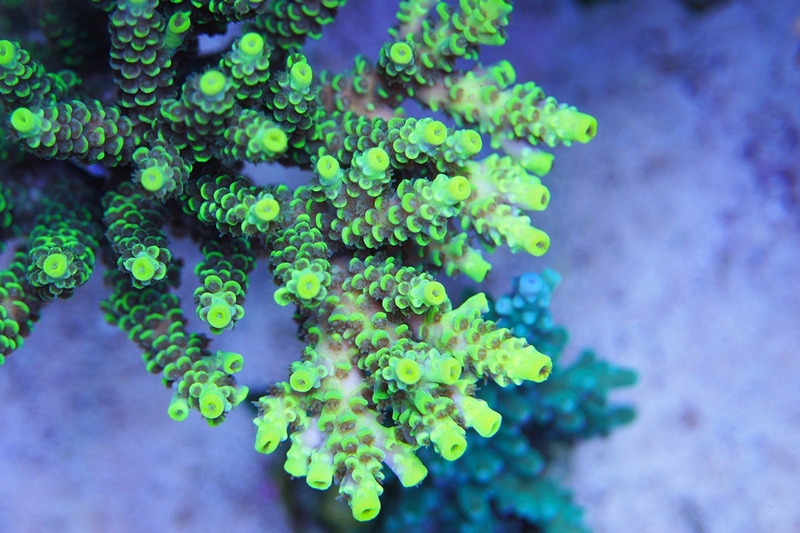 6 pieces of Zoas about 8-10 heads to 3 larger colonies with more than 20 heads. Siporax -once I have a higher bio load. Due to size of aquarium should I use the 10ml or the 50ml? I am going be adding Siporax to my system, is placing it in the sump in a dark area with good flow the best location? 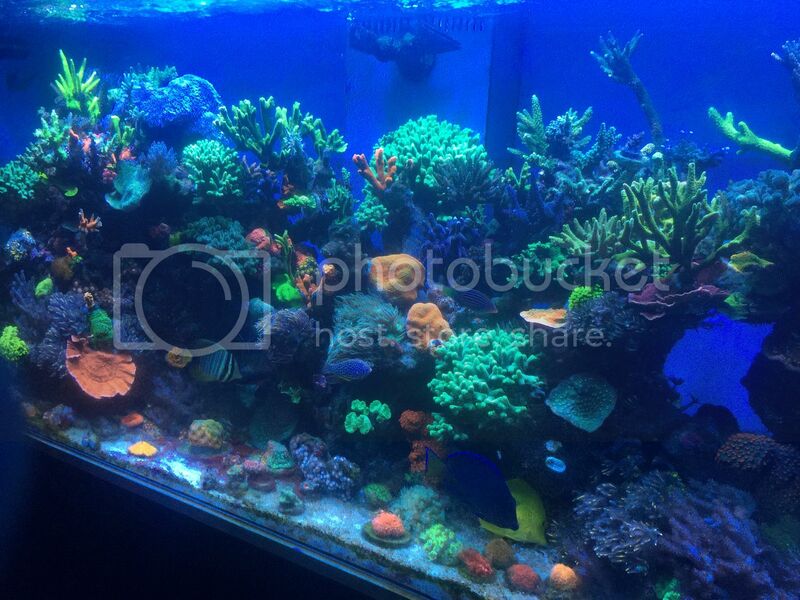 I have a 400l system and was looking at adding 4l. Thank you. I will be picking up my load of "AF" products. 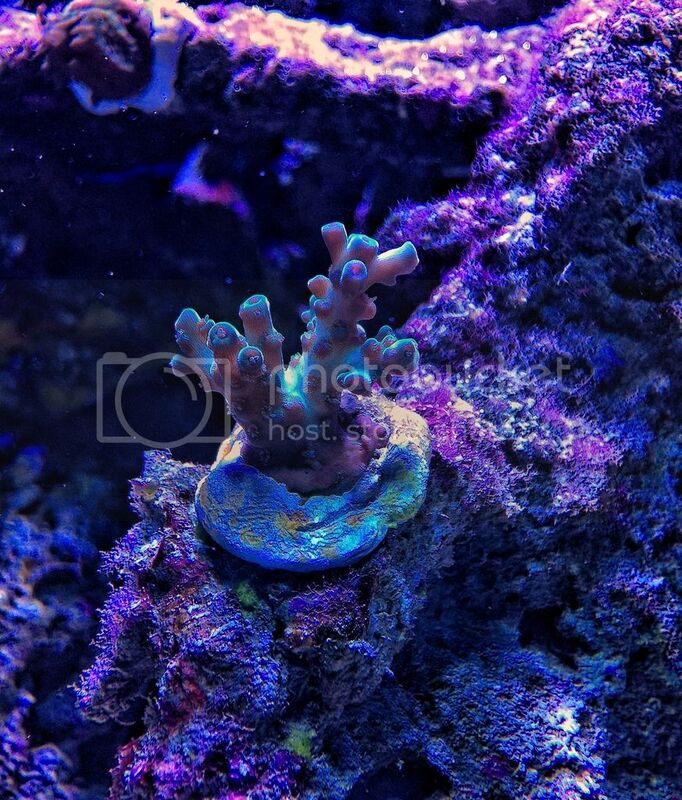 Will start with 5-10% water change but only plan on using 50% of Af's Probiotic reef salt and 50% of Instant Ocean salt. Why? I bought on black Friday two boxes and don't want it to go to waste. Is this a track I can follow? As for the other Af products I also plan on using 1/2 the recommended dosage. Since I am running bio pellets I will start to remove them in small portions until I am at full strength with Af's Bio S and Np Pro. I know that this will mean that my process will be slower but I certainly do not want to shock the biological process in my system or its inhabitants. At the moment I am dosing but still under the recommended 1 drop per 27 gallons. 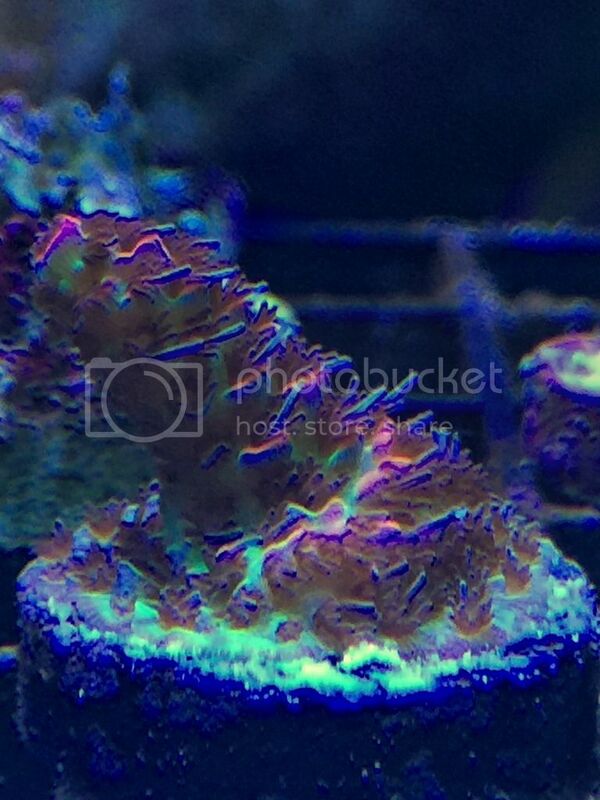 The only thing I noticed on week 2 was a growth of diatom brown algae on glass. This has been showing up less and less this week. Both Po4 and No3 have not increased since taking the bio pellets offline and the po4 has decreased in half over the 3 week period. No3 I have not seen any drops yet. I will continue to monitor these two parameters to see the where they go as I dose Pro Bio S and NP pro. Week 1 purchases all were very inexpensive frags and all are doing fine except a Hollywood stunner chalice and an unknown sps. Both have shown anger towards my ALK issues but none have completely perished nor have gotten to the point of no return. Both seem to be coming back. The chalice started to STN from the outside in but has stopped. The sps shows burnt tips but has also stopped. All zoes are super opened and look totally happy. 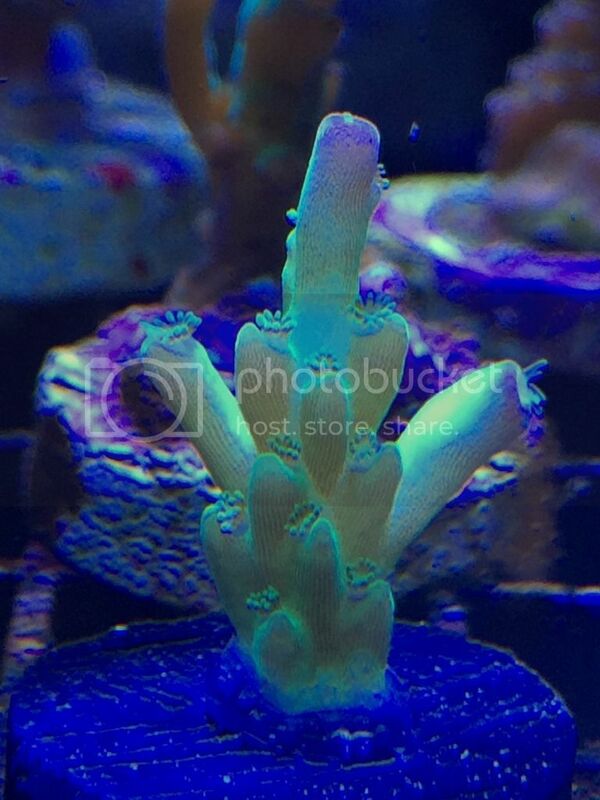 Week 2 purchases were aquaculture corals and they have lost color but polyp expansion is super. They were not happy campers after the bayer dip nor happy about the ALK spike. But no tissue recession, just a little brown but full polyp expansion. I expect a full recovery from them. There were additional purchases week 3 into week 4. 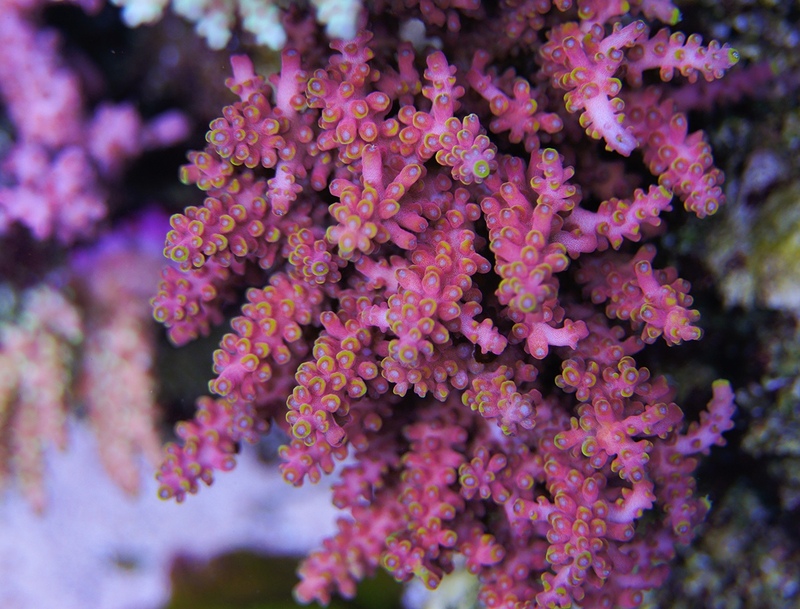 All are doing great with full polyp extension. 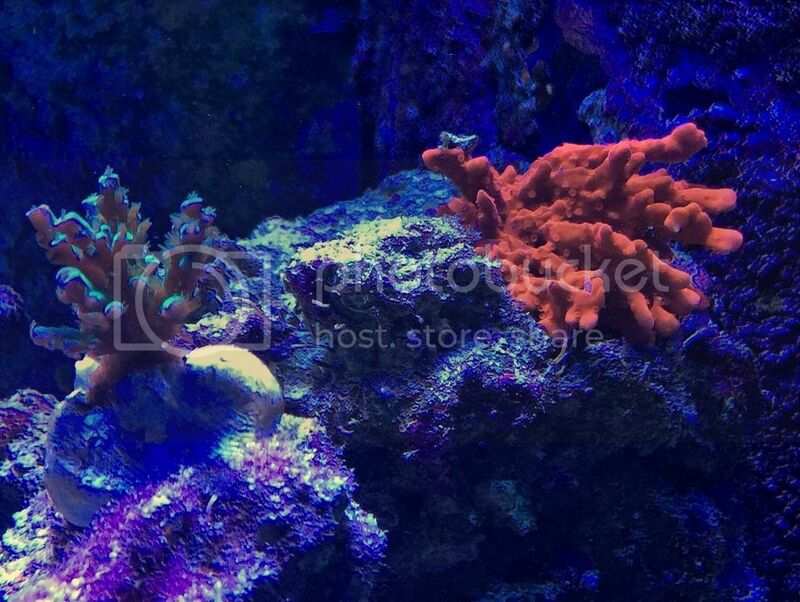 Join to our Aquaforest Group and see more beautiful tanks! Its been a little while since my last post and wanted to get my thoughts down as I continue on this journey. I picked up 7 Bartlett anthias and I have been feeding the fish twice a day. Formula one and two small pellets in morning then alternating days with mysid, lifeline and reef mix. 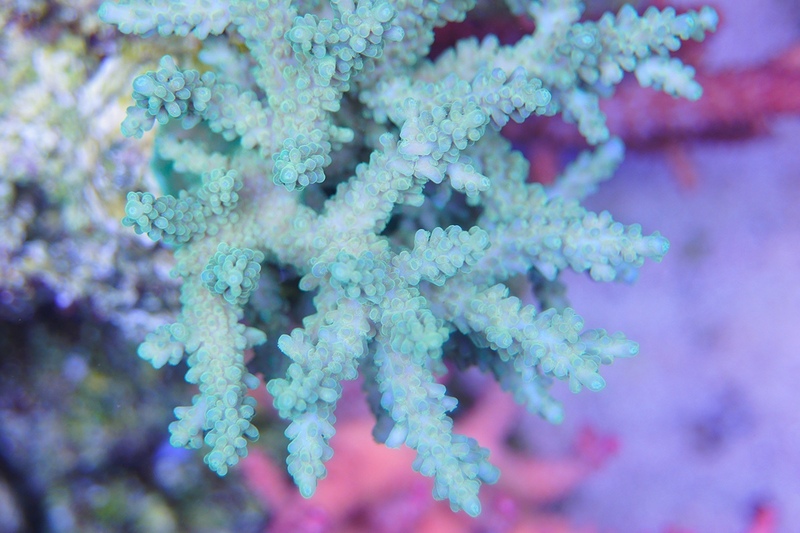 Along with using the probiotic reef salt I am still dosing AF products ABEV, Np Pro and Bio S.
Once I reached 6 drops per day I noticed I was getting red cyan bloom. No biggy just means I have excess nutrients in my tank. Here is what I started to implement in order to get rid of excess nutrients. 2. I need to change my feeding schedule from 2x a day to twice every other day. With single feedings at least daily. 3. With the Np Pro and Bio S I have cut the dosing in half to 3 drops per day. 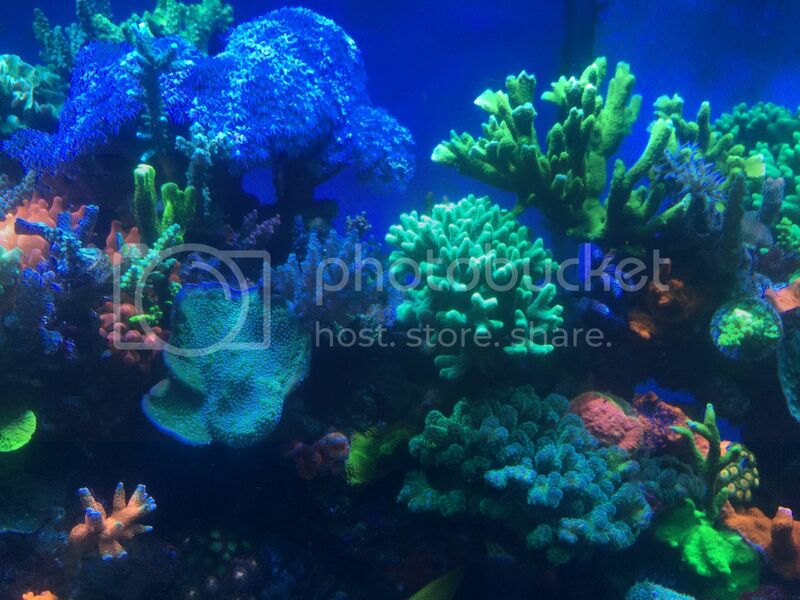 I must admit that even with the cyano creeping up in certain places all corals appear to be going strong and happy. 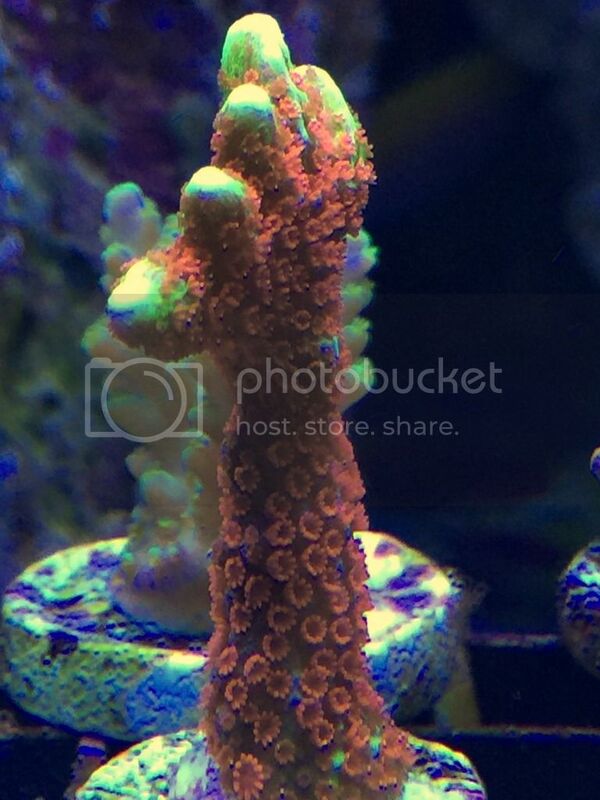 However I certainly don't want to have this bacteria growing happily in my tank. 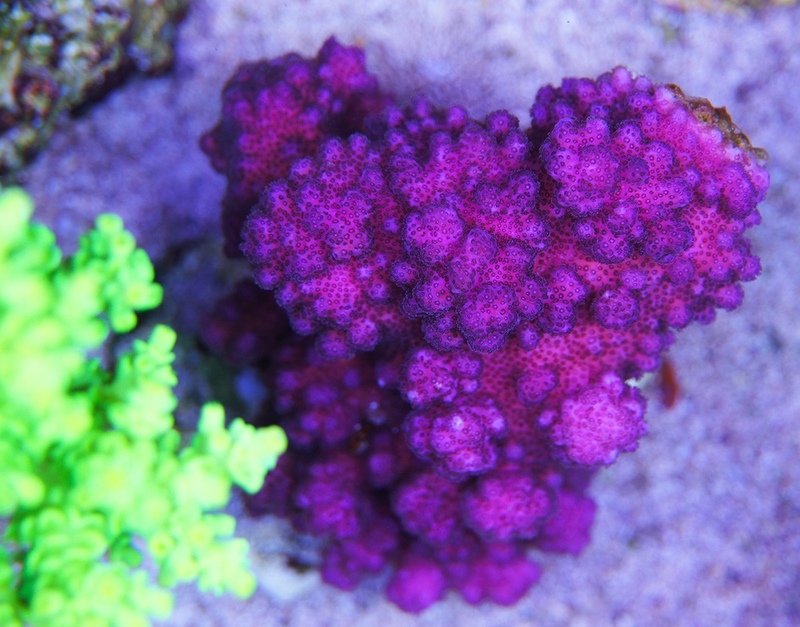 As a last resort I purchased the Boyd's red cyanobacteria but would prefer not to use it. 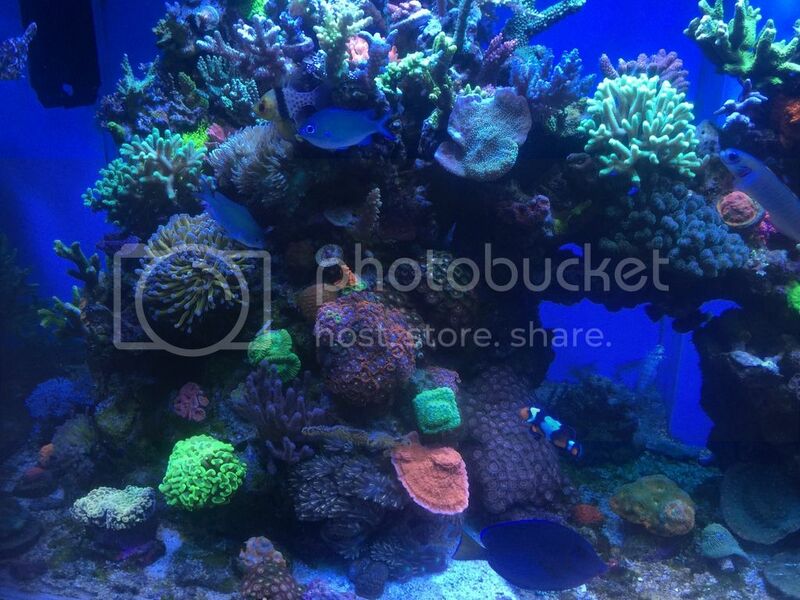 Fish of course are fat, happy and corals have great PE! 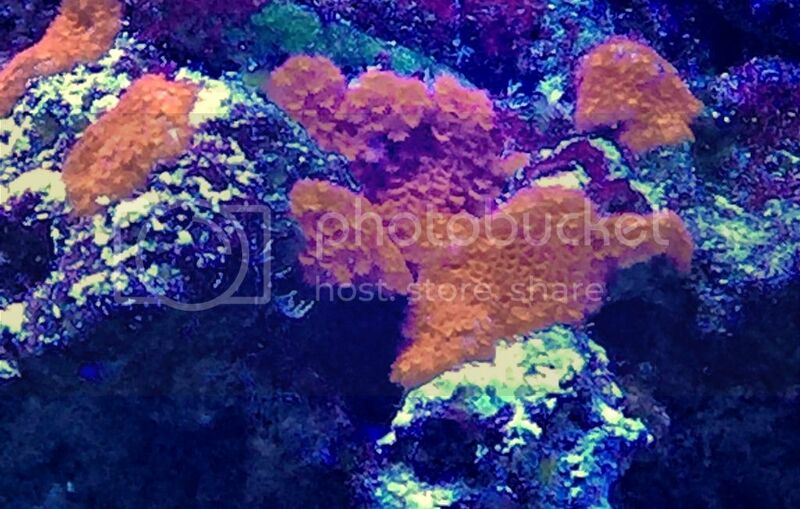 I have been gluing frags onto the rocks in their permanent locations on my reef. Yes it takes me awhile but again it's the whole acclimating to my lighting and tank conditions etc etc. The process I have taken before gluing onto rocks is a bit different than what I have done in the past but I am happy that I have decided to go this route. 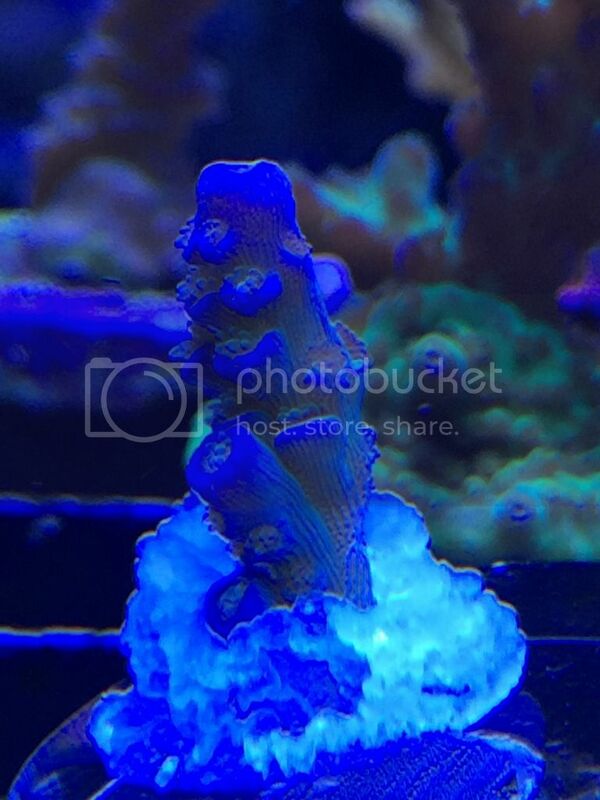 The selected frags get dipped in coral rx for 20 mins. 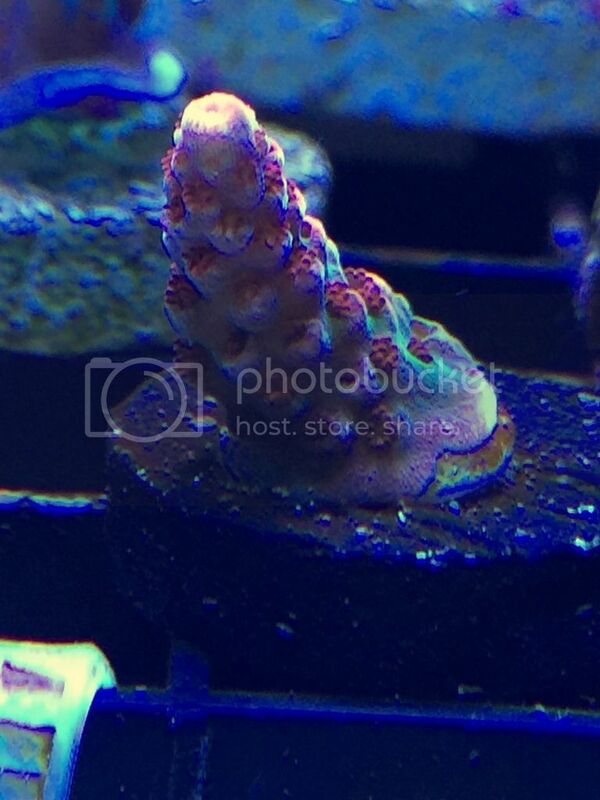 While they are bathing in coral rx I prep new, never used frag plugs. 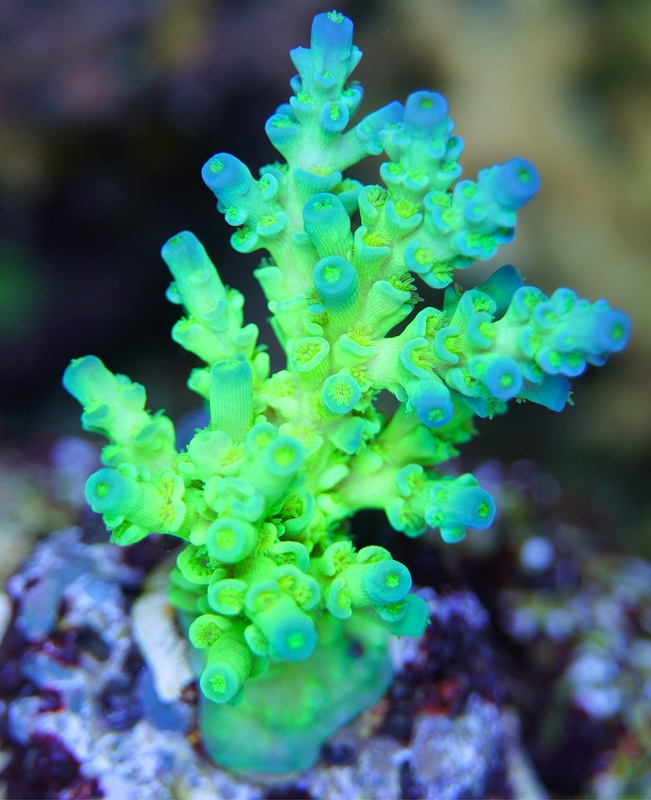 After the bathing is done each frag is then cut from its current plug at the base. 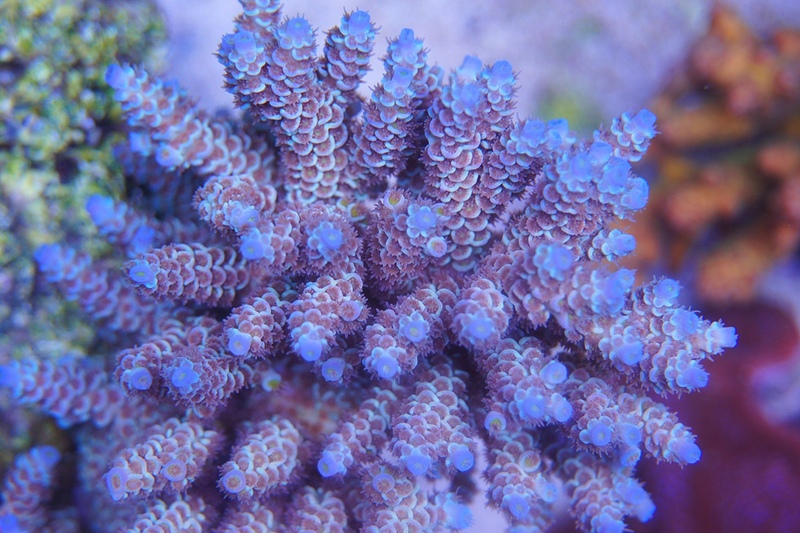 I check for additional eggs or anything odd by using a tooth brush and brushing the bottom of frag. From here I rinse in fresh tank water then place frag on new plug. Place frag in a holding container to let the glue set then its time to transfer to DT and glue it in its new location. Interesting I have found odd critters with the occasional bristle worm. Finding these critters lets me know that dipping should be in at least 2 to 3 stages. 1st time after you purchase is a must. 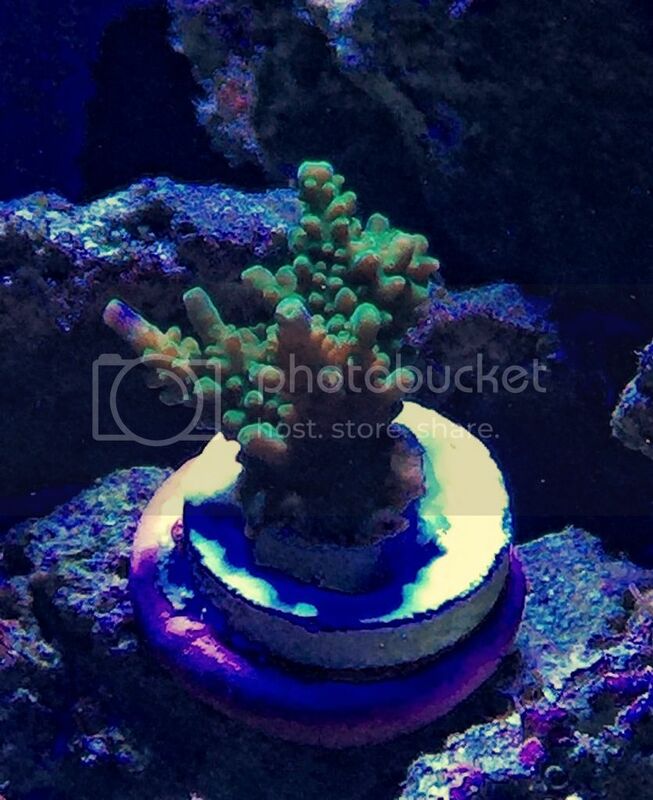 2nd time dipping before you glue and place on rock is also a must especially if you don't use a quarantine tank. Now for some good stuff! Not a great picture but Christmas Mirabilis - This has awesome PE from day one! Last edited by Aquaforest; 05/12/2017 at 04:01 AM.